Body weight support for every body. The Lightspeed Lift is a Body Weight Support System developed for physical rehabilitation and athletic training. 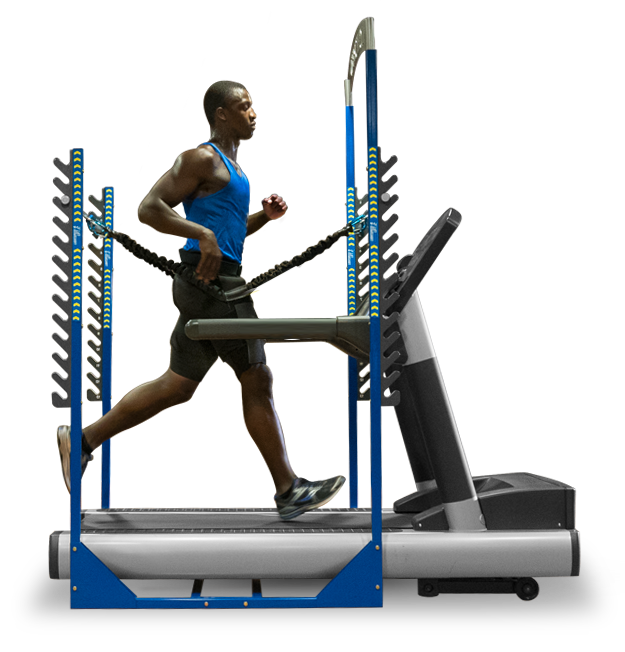 The LightSpeed Lift works with your treadmill and allows for a controlled body weight lift of up to 35 lbs. Walking or running become easier, enjoyable and safe with the use of custom shorts or a lift-belt attachment. LightSpeed Lift reduces impact force, encourages better form and increases speed. Want to get back on your feet again? Clinical studies have shown that body weight support machines help patients heal faster. Thousands of athletes have experienced the benefits of body weight support systems. Here are some of their stories. Want to see what Lightspeed Lift can do for you? Check out our six case studies of real people who have gotten back to running with Lightspeed Lift.